Understanding Overtime Pay Rights - Am I Entitled To Overtime Pay? Employees covered by the Fair Labor Standards Act (FLSA) must receive overtime pay for any hours worked exceeding 40 in one workweek. 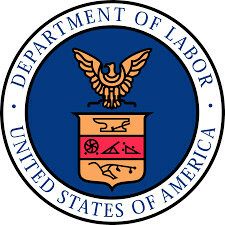 The FLSA is a federal statute that establishes overtime and minimum wage laws affecting employees across the country. The FLSA distinguishes between exempt and non-exempt employees for purposes of overtime pay. A non-exempt employee is someone who is paid on an hourly basis. Generally, non-exempt employee receive at least minimum wage for each hour worked during a workweek. When that work exceeds 40 hours in a workweek, non-exempt employees are entitled to overtime pay. Overtime pay must be one and one-half times the normal hourly rate. How much they are paid. According to the FLSA, employees who are paid less than $23,600 a year are non-exempt. On the contrary, employees who earn over $100,000 a year are almost always exempt. Non-exempt employees are entitled to all protections under the FLSA minimum wage and overtime pay laws. However, exempt employees have little, if any, rights under the FLSA overtime laws. The overtime rate must be at least one and one-half times the employee’s regular rate of pay. Under the FLSA, overtime is defined as “time actually worked beyond a prescribed threshold.” For purposes of this definition, that threshold refers to any additional time worked after the normal 40 hours. Therefore, overtime requirements within the FLSA are not triggered until work has exceeded 40 hours in a single week. An employer may not deny overtime pay for one week in exchange for time off in another week. Likewise, an employer cannot average hours worked to avoid paying overtime. This would only arise if an employee worked more than 40 hours in week one, and less than 40 hours in week two. The FLSA also requires employers to pay employees working overtime in cash. An employer may set up any kind of payment method for employees working no more than 40 hours in one week. Once an employee exceeds 40 hours, though, he or she must be compensated in cash. An employee’s eligibility for overtime pay under the FLSA is based on his or her salary. As of December 1, 2016, the standard salary level for a nonexempt employee was increased from $455 per week to $913 per week. Therefore, employees who receive more than $913 per week are not covered by the FLSA overtime rules. The inquiry does not end with the salary level test. An employee may still be exempt from overtime pay if he or she performs specific, exempt job duties. Exempt duties generally refer to high-level work, and usually mean executive, professional or administrative functions. Strictly speaking, under the FLSA, an exempt employee does not have a right to overtime pay. In general, an employee working overtime is entitled to time and one-half of their regular hourly rate for all overtime hours worked. However, it may be difficult to define what constitutes work to fall within the overtime pay laws. The courts have expanded upon which activities generally constitute “work” in this context. Any job-related activity that genuinely benefits the employer, that the employer knows the employee is performing, is considered overtime work. Overtime rates vary among employees because such rates are based on the individual employee’s salary, or regular hourly rate. If an employee’s pay rate is not an hourly rate, an employer will convert that rate to its hourly equivalent to calculate overtime. Overall, it is important to determine whether you are a non-exempt employee for purposes of the FLSA. If so, you are entitled to overtime pay for any work exceeding 40 hours in one workweek. As previously mentioned, if you are an exempt employee, you have virtually no rights under the FLSA and may be denied overtime.